Redstone Construction, Inc. was founded in 1978 and as of 2014 is known as Redstone Construction, LLC. Since its founding the company has been involved in Highway Heavy Construction as a general contractor and self performing bridge and underground utilities. 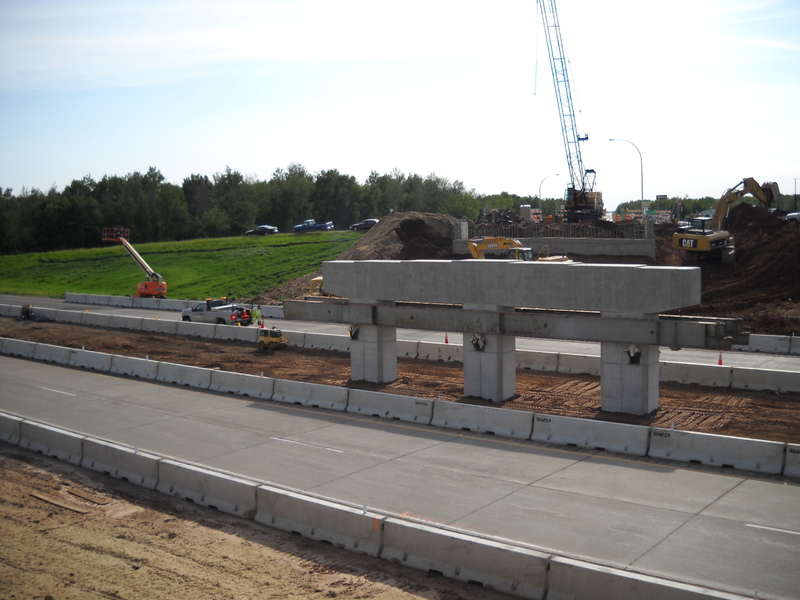 Our work mainly comprises of Counties, Cities, and DOT bridge and utility construction though-out Minnesota. Redstone Construction, LLC is comprised of experienced staff and quality construction crews known well for quality work done on budget and on time. Other services Redstone provides includes temporary shoring, piling, and crane service to prive markets. Bridge Construction - Concrete girder, steel girder, continous slab spans and bridge rehabilitation. CIP Retaining Walls - Concrete cast in place retaining walls will any desired architectural surface finishes. Temporary Shoring - Sheet pile, wood lagging, HP shoring. Our staff can develop and provide project and site engineered systems. Crane Service - seasonally available (Cranes to 100 tons) contact our office for service area and availability.